Motley Crue held their highly-anticipated news conference in Los Angeles this afternoon, and as expected they announced plans to embark on their final tour later this year. Dubbed ‘The Final Tour,’ Motley Crue’s last run together will see them visiting arenas around the globe over the course of several months. The aging metal outfit will kick things off this summer with a July 2 performance in Grand Rapids, then proceed to visit many cities around the nation before taking their show overseas. Alice Cooper will serve as direct support. 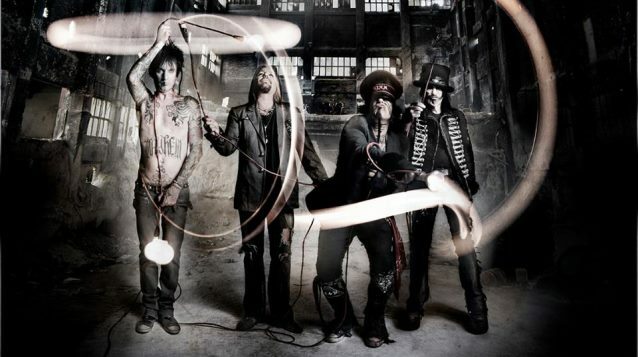 The tour dates for Motley Crue’s final run were revealed during the conference, but an official list has yet to make its way online. You can view the confirmed dates below.